We are a leading Exporter of hammer mill from Kolkata, India. 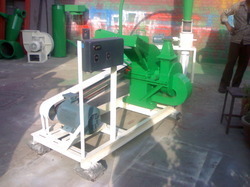 In order to cater the variegated demands of our prestigious clients, we have come up with a wide range of Hammer Mill. The offered hammer mill is developed with contemporary techniques as per industry norms using top grade material under the direction of our professionals. This hammer mill is for grinding of masala and all types of grains. Offered hammer mill is provided in various specifications as per the need of patrons.